KastKing Copolymer is the Best Copolymer Fishing Line. KastKing Copolymer is probably the best copolymer fishing line on the market today. It is soft and has a really low memory, which is great for casting long distances. KastKing is strong, reliable and has a great knot strength. Overall, it offers great value. 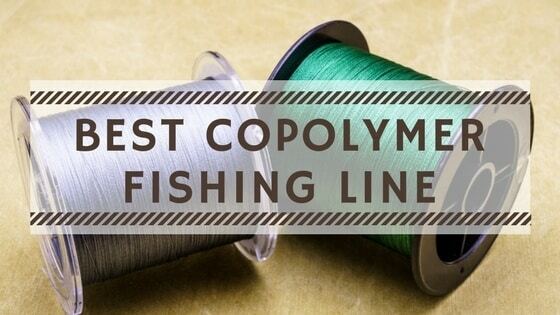 When it comes to copolymer fishing line, you definitely want the best option out there. So, let’s take a look at some of the best copolymer fishing lines on the market today. One of the things that we really like about this copolymer fishing line is that it has great knot strength. Once you tie your fly or lure onto the line, the knot is going to stay tight and in place for a very long time. Your lure is not just going to slip off like many other lines. The fact of the matter is that P-Line C21 Copolymer Filler Spool is some of the most durable copolymer lines out there. It has an absolutely incredible impact and teer resistance. This is great because it ensures that you can reel in some really big fish without it breaking. We also like how P-Line C21 features a really soft construction with low memory. It literally comes off the spool like a hot knife goes through butter. At the same time, this stuff doesn’t tangle easily, nor does it retain any kind of shape thanks to the low memory. Perhaps our favorite part of this fishing line is the combination of copolymer and fluorocarbon coating. They work together to make this one of the best copolymer fishing lines on the market today. The fluorocarbon coating is specially intended to reduce the visibility of this line when submerged. Fish won’t see it and they definitely won’t be scared away by it either. Something else that we like about this line is that it is very sensitive and doesn’t have much stretch. In other words, it allows you to feel even the lightest of nibbles with ease. This means being able to catch those little fish with light bites. At the same time, this line sinks pretty quickly, which is ideal for fishing deeper waters. 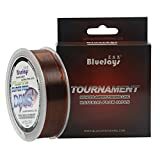 Another thing that stands out about BlueJays Fishing Line is that it is exceedingly strong. It has a very high level of abrasion resistance, so rocks and wood don’t damage it. At the same time, it is also very resistant to tugs and impact created by large fish jerking around. It also features a high tensile strength, so you can reel in those big fish without the line snapping into pieces. One of the things that you might like about this line is that it has a small diameter. In other words, you can fit a whole lot of it on a single spool for some really far distance casting. Although Super Silver Thread Fishing Line is very thin, it still manages to be very strong. We also like how this line has low visibility to make sure that it does not scare fish away. In fact, this line has some of the best tensile strength out there. This means that reeling in those big fish is made easy. At the same time, Super Silver Fishing Line also has great resistance to abrasion. It also features great knot strength to ensure that your lures don’t go missing after the first cast. One of our favorite aspects of this copolymer fishing line is that it is virtually invisible to the eye. This is very useful when fishing because fish can barely see it. They won’t be alerted to your presence and their focus will always be on your lure. This copolymer fishing line is also fairly soft and has low memory. This makes it easy to cast it a far distance. At the same time, it does not retain any kind of shape, which is always nice too. 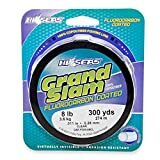 HI-SEAS Grand Slam Copolymer Fishing Line is built tough too. It has an insane level of abrasion and impact resistance, plus a high level of tensile strength too. One of the things that really stands out here is the coloring. This copolymer fishing line is made to be easy to see when above water. However, when submerged, this line is pretty much invisible. This is great because it means that fish won’t be alerted to your presence as much. The patented braid technology used for the Dynamic Lures Hydralux Premium Copolymer Fishing Line is also quite impressive. In other words, this line has awesome tensile strength. It is highly resistant to tearing, abrasion, and impact too. If you need to haul in those big fish that are fighting, this is a good line to consider. The Dynamic Lures Hydralux Premium Copolymer Fishing Line is also made to be easy to cast. It has fairly low memory, which helps its shape to always bounce back. This also helps makes casting far distances about as easy as can be. The bottom line is that we prefer KastKing Copolymer Fishing Line over all other fishing lines that we reviewed. We think that it is the best copolymer fishing line by far. It is almost invisible, it has a high level of tensile strength, good knot strength, and offers great casting too. P-Line C21 Copolymer Filler Spool and Dynamic Lures Hydralux Premium are other great options to go with. 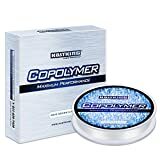 If you prefer to use some other copolymer fishing line, then tell us via the comments section. We will try to add to it our list in the next update.